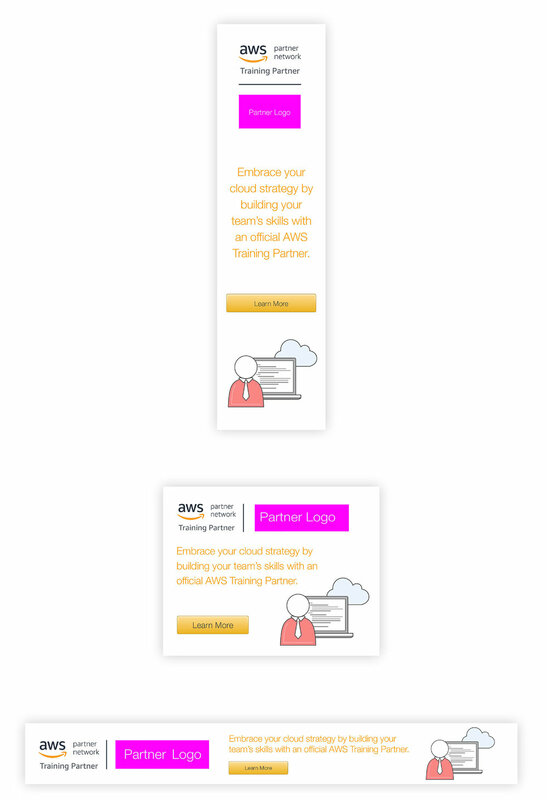 Brandscape partners with larger corporate design departments to create and take over special projects, produce brand assets (as seen here with AWS) and take on overflow work as needed. 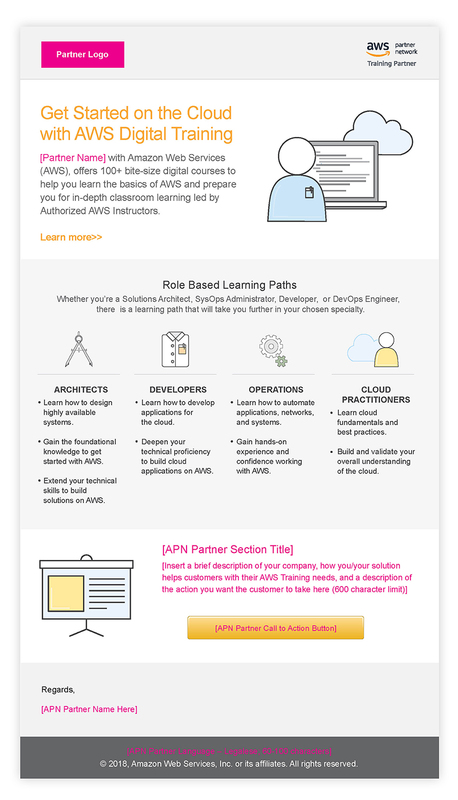 For AWS we created on-branded assets for several targeted markets, to help AWS clients use and promote the AWS products. 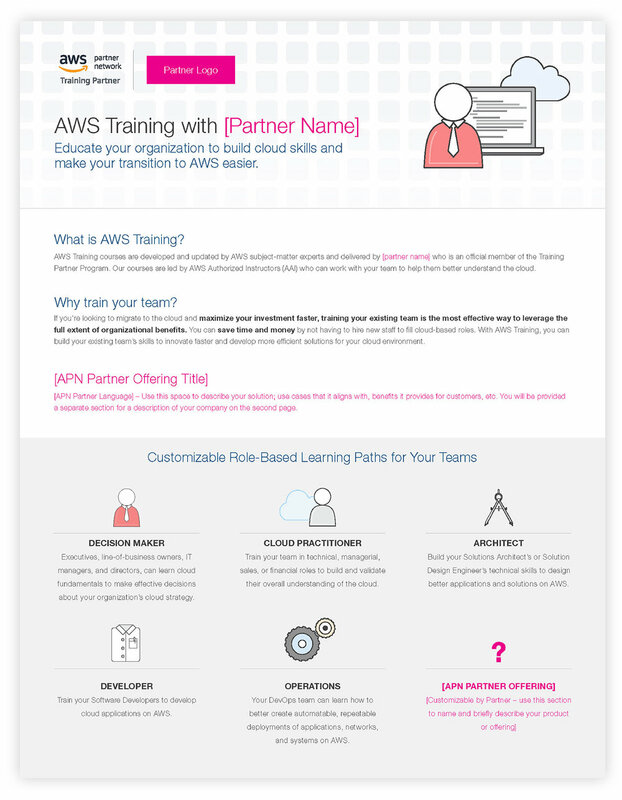 The deliverables shown below are final, though in templated form, meant to be manipulated by AWS’s partner companies. More often than not, large corporations come up with the overall look and feel, then seek Brandscape to build out hundreds of digital and print products, ranging from website to how-to manuals.